I’m not sure when themed food nights became a thing. First, it was “Meatless Mondays.” Sounds rather cheerless and reminds many of us of the meat-deprived Fridays of our youth. But “Taco Tuesdays?” Heck, ya. That’s something we can really get behind! Coincidentally, today’s Tuesday. The burden of what to have for dinner has just been lifted from your shoulders. “Taco Tuesday” would appear to be a generic coupling of words, a common but alliterative call to duty. But in fact, the phrase is a registered trademark in 49 states, owned since 1989 by a Wyoming-based restaurant chain called Taco John’s. (They failed to capture New Jersey, where another restaurant beat them to the punch.) By all accounts, the company has been rather pugnacious about defending its property rights. But don’t worry about the legal ramifications of calling today “Taco Tuesday.” Focus instead on which of the following tacos make you want to knock off work early and get an early start on dinner. Here are some of our favorite combinations, plus several recipes to inspire you. 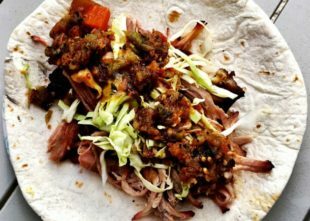 • Smoke-roasted pulled pork with chopped cabbage or slaw drizzled with South Carolina Mustard Barbecue Sauce. Barbecued baked beans—why not? 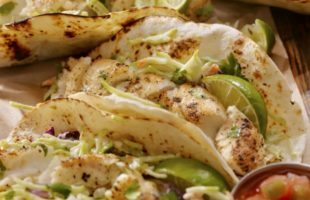 • Grilled spice-rubbed chicken breasts or thighs, chopped or shredded, then topped with diced avocado, sliced radish, sliced jalapenos, fresh cilantro, and crumbled queso fresco or feta. • Leftover brisket (sliced or chopped), grilled onions, shredded romaine, pepper Jack cheese, and fresh pico de gallo. • Grilled swordfish (sprinkled with your favorite Southwestern-style rub), thinly sliced red cabbage, fire-charred corn, and an avocado crema made by combining in a blender the flesh of one ripe avocado with 1 cup of sour cream, 1 minced clove of garlic, 2 tablespoons cilantro leaves, and 2 tablespoons of fresh lime juice; add salt to taste. • Thinly sliced grilled steak (we like skirt steak; marinate first, if desired), grilled poblano peppers (cut into strips), shredded lettuce, queso fresco, and ember-roasted salsa. 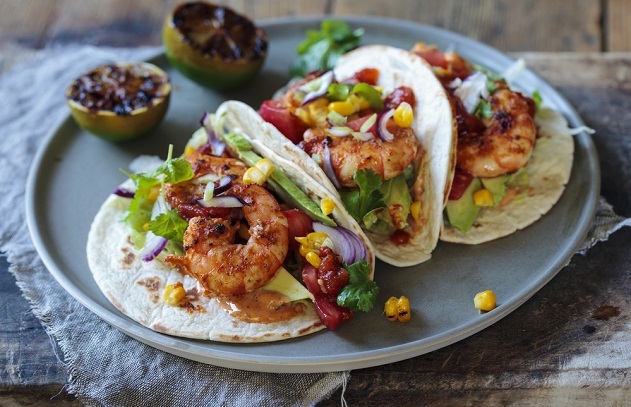 Have a favorite taco recipe or combination? Tell us about it and show us your photos on Instagram, Facebook, Twitter, or the Barbecue Board!